The OPMOD Battle Mug has to be the ultimate drinks container for anyone that enjoys a first person shooter game, such as Battlefield 3, Modern Warfare 3 or similar. OPMOD’s Battle Mug is constructed from T6 billet aluminium and features mil-spec 1913 scope rails, together with the handle of an AR-15 to enable you to sip your favourite brew as you play. Check out the video after the jump to see the Battle Mug and accessories in full. The Battle Mug will hold up to 24 ounces of liquid and its body has been machined out of a 13.5lb solid block of aluminium. Enabling you to add any extras you like including a scope, a laser sight, or holo sight to name just a few. 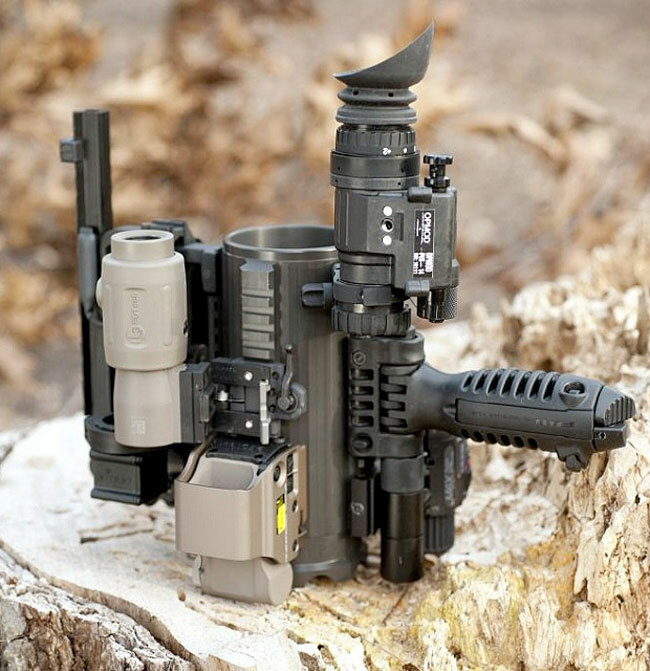 This ultimate OPMOD Battle Mug tactical drinking device is now available to purchase for $249 from Optics Planet. Enjoy!